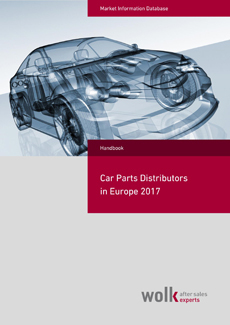 The "Garage Structure in European Car Aftermarket" report by Wolk After Sales Experts is a valuable tool for any Parts Manufacturer or Parts Distributor looking to optimize the distribution of its products. In 2018 there were 396 garage service concepts in Europe, with 120.000 garages being members of the networks (that's 31 % of all garages). 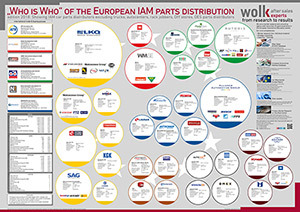 On a more general level only 18% of European garages are Original Equipment Services (run by car dealers), while 82% is independent aftermarket operators. Roughly half of them focus on mechanical repairs and maintenance, while one in three is specialized in tires, auto glass, body and paint repairs or others. Appr. 396 garage service concepts (2018) in Europe. More than 120.000 garages belonging to one of the garage service concepts. Around 31% of all garages belonging to a garage concept. 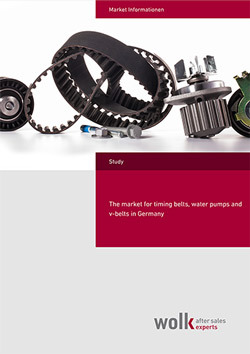 For a detailed table of content and further information please download the sample report. 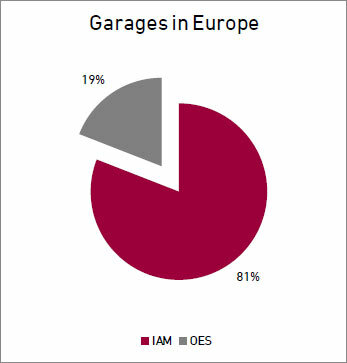 81% of the garages in Europe are IAM garages. 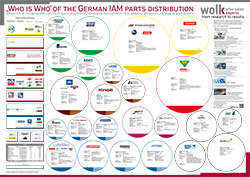 51 % of them are specialized in tires, auto glass, body and paint, fast-fitter or other specializations. Mechanical repairers represent the largest part with 49%. The average IAM garage density in Europe, which describes the number of passenger cars per garage, is 875 cars per garage. Germany has the highest density of more than 1.400 cars per garage followed by France which exceeds 1.200 cars per garage. The lowest density among the 35 analyzed countries in Europe has Macedonia with around 380 cars per garage. Slovenia, Turkey show slightly more than 400 cars per garage. We also see disparities between the regional clusters. While the garage density in Central Europe (DACH, BeNeFrance and UK) is above 1.000 cars per garage, the density in the Eastern Mediterranean countries, the Balkan states, and the Baltics does not reach 600 cars per garage. In 2018 there were 396 garage concepts active in Europe. Some of them have been operating in several countries. Multi-brand mechanic garages represent more than 42% of the concepts. Auto glass service concepts are mostly nationally oriented except the two large concepts Carglass and Saint-Gobain’s Glassdrive. Body and paint service concepts are traditionally in the hand of major chemical companies who are active in the fields of paintings, coatings or (re)finishing products(e.g. Five Star – Axalta Coating Systems, ColorMotion – BASF Coatings GmbH etc.). We have the same structure in terms of tire service concepts which are mainly operated by large tire manufacturers (e.g. 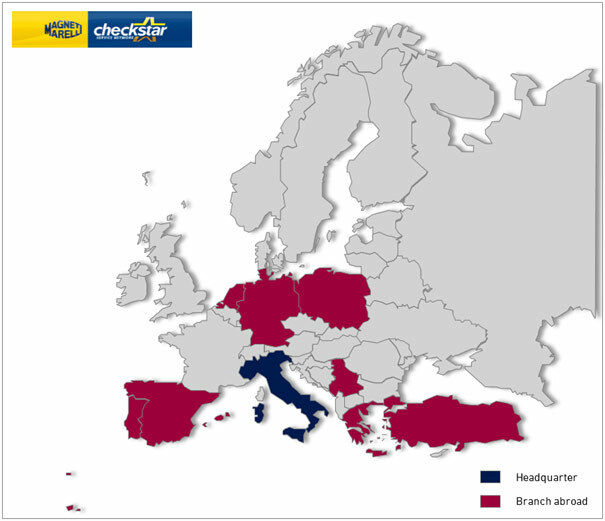 Euromaster – Michelin, ContiTrade / BestDrive – Continental etc.). Bosch Car Service is the largest independent service concept in Europe. It is represented in all 35 analyzed countries and has more than 6.000 partners. 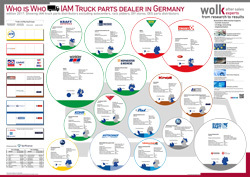 IAM service concepts in this segment are driven by parts manufacturers, buying groups or large distributors. Albania, Austria, Belarus, Belgium, Bosnia and Herzegovina, Bulgaria, Croatia, Czech Republic, Denmark, Estonia, Finland, France, Germany, Greece, Hungary, Ireland, Italy, Latvia, Lithuania, Macedonia, Netherlands, Norway, Poland, Portugal, Romania, Russia, Serbia, Slovakia, Slovenia, Spain, Sweden, Switzerland, Turkey, Ukraine and United Kingdom.